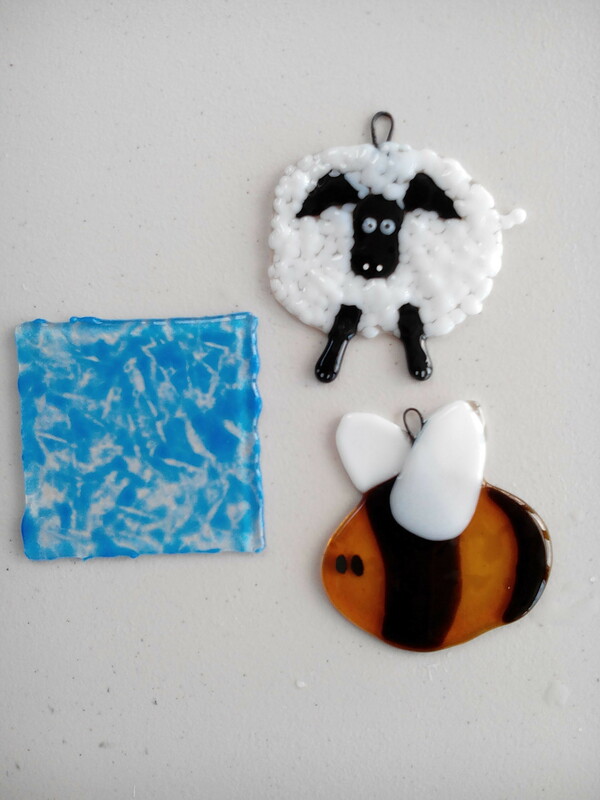 I have been having a go at some new glass fusing techniques, notably crackle. 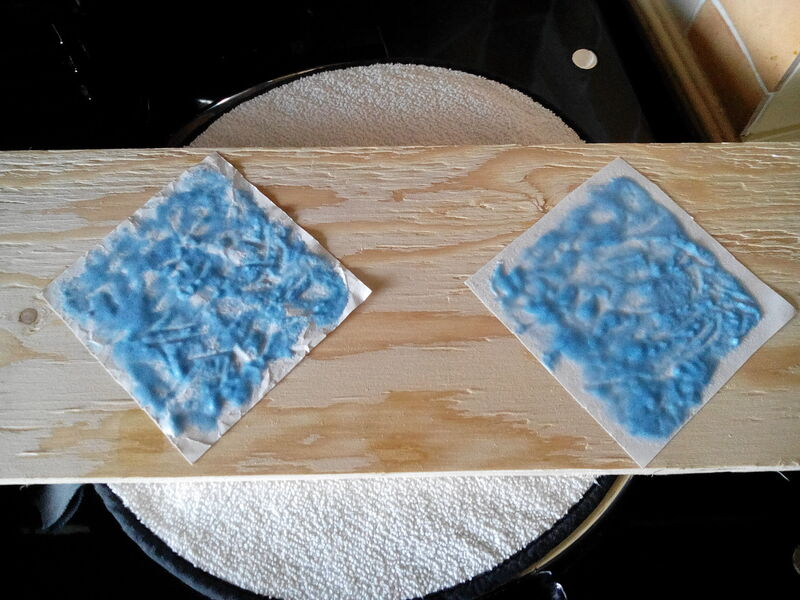 it starts with powder, sprinkled over a base sheet, sprayed with water and then pushed into crackle type effects. 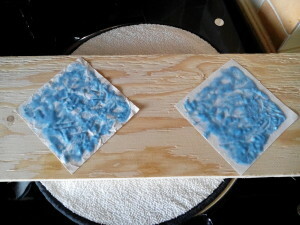 A piece of clear glass (tekta) is then put on top. This is how it looks after the process. I tried an additional variant, where one base sheet was scrunched up first. the idea being that this helped form the crackle look. I added a sheep and some bees to the kiln load, far left. 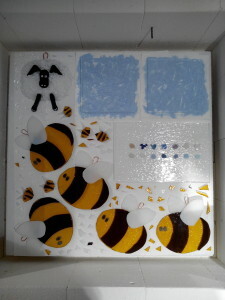 The idea being that the bees could be my first move into selling glass items. 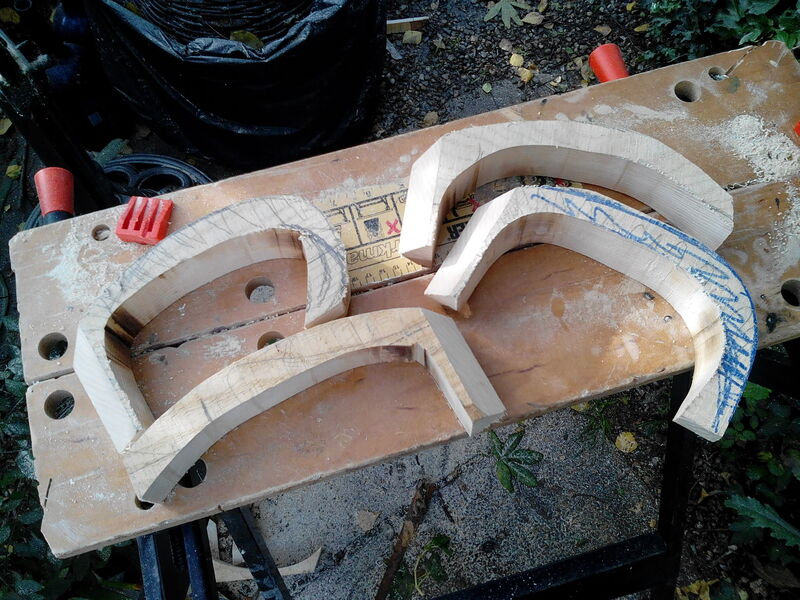 The near left picture shows the results. The sheep and bee have come out well. The crackle glass however, hasn’t. It looks like, well, clear glass with melted powder. A bit of a failure really. If you want to see how it should be done, then visit here. Back to the drawing board on that one. I just need to work out what I did wrong. And so it was time to bring together the various elements of the fuchsia. 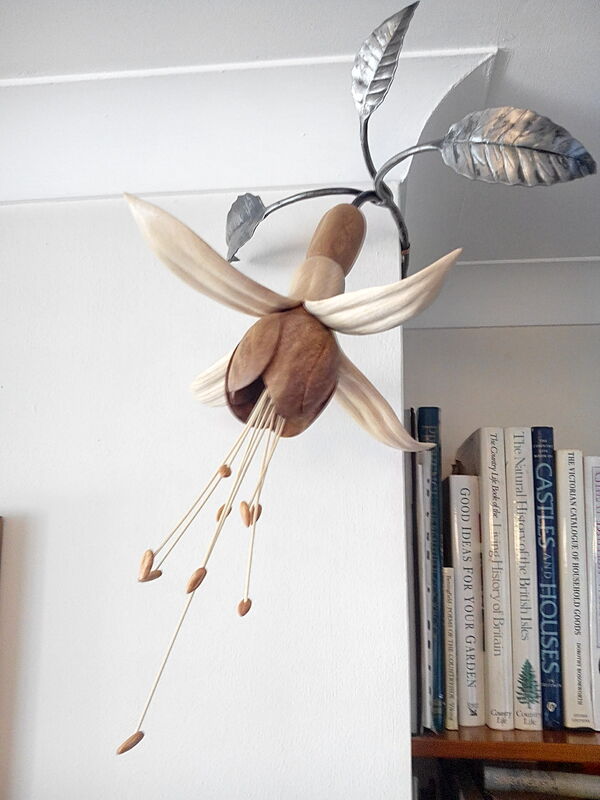 Alongside the main sepals, central petals and leaves, I also made the stamens from painted piano wire with individually carved pollen anthers. The fitting, finishing, adjusting, refitting and polishing (with our own beeswax polish) actually took nearly as long as making each of the individual parts did. 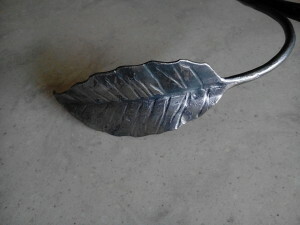 For this part of the wood carved fuchsia project I moved over to metal. I like mixed media artwork, so decided that for the leaves and stems I would forge them from steel. The pictures below show the step by step process. 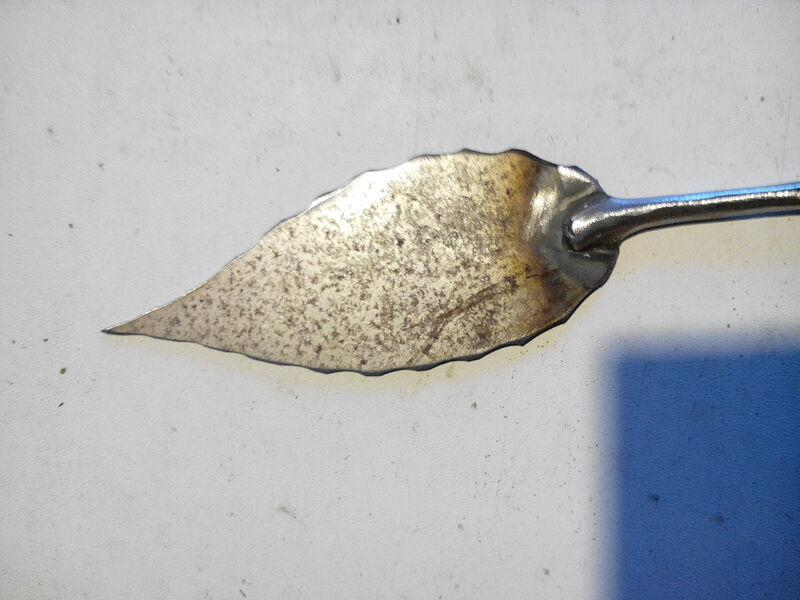 I first cut the outline shape from 3mm steel, welded on a 6 mm rod to form the stem, and then, after heating on the forge, formed the leaf detail with veins marked with a flat chisel. 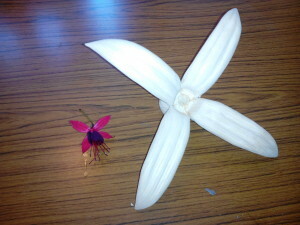 For the second part of my wood carved fuchsia project I made the central part of the flower. 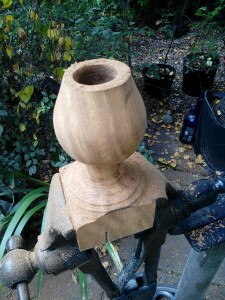 It started as a piece of oak bought at the National Trust Ickworth wood fair. 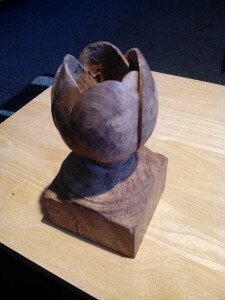 The idea was to use different wood to reflect the different textures and colours of the different parts of the flower. 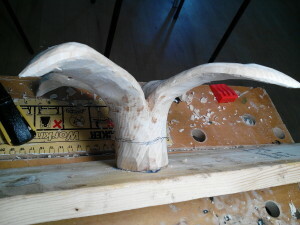 I began by turning the basic shape from the block of oak. For a while it looked rather like a cup. 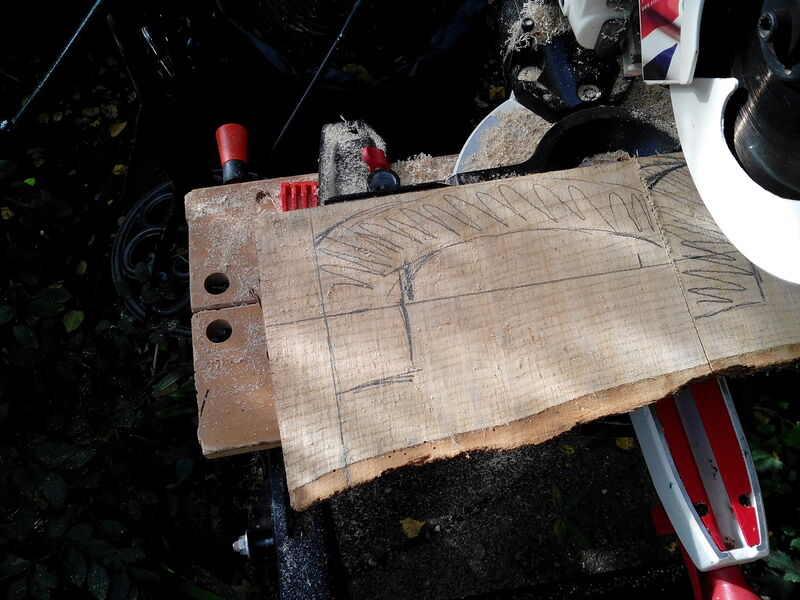 Next came the actual wood carving stage. 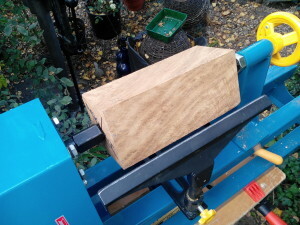 I did this to the roughed out point whilst on our annual holiday in Northumberland. We have spent a week in a remote farm cottage every year for the last 10 years. It began as a retreat from all that is office life, at a time when the garden was quietening down and the bees tucked up for winter. Now we go just because we love Northumberland. And so that’s it, short and sweet for stage 2. 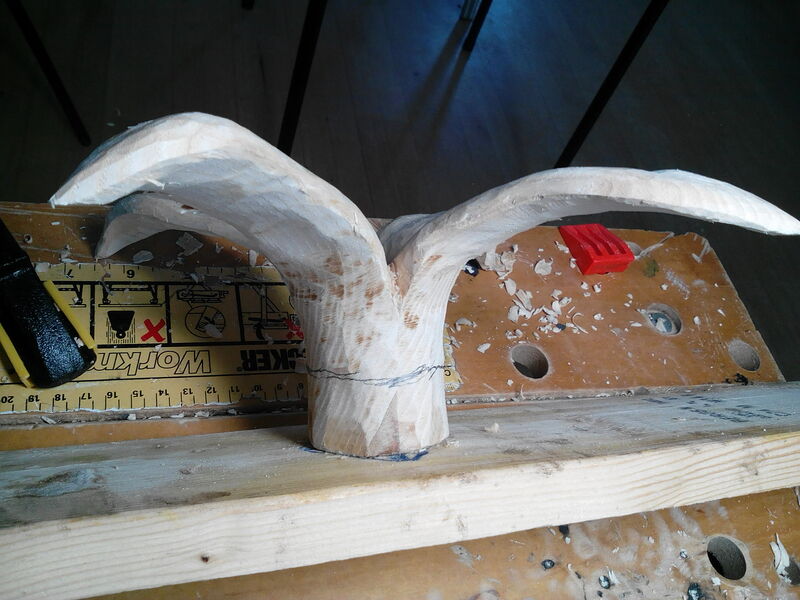 It still needs a lot of finishing, particularly to the base, where it will fit into the petals made in part 1. My wood carved fuchsia has been a long term project, but that’s no bad thing. It has been quite nice to work on something I haven’t felt like I wanted to finish as quickly as possible. 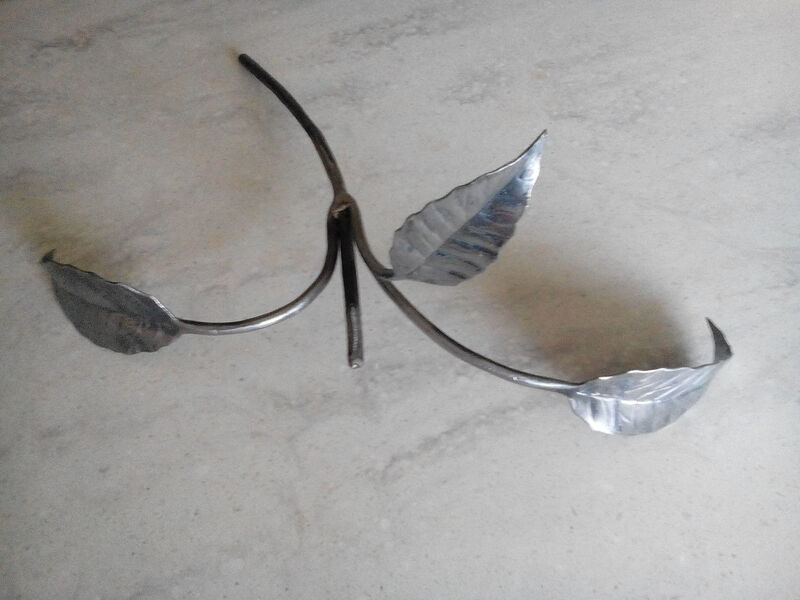 It is made from a number of components, mainly wood, but also with leaves and stems made on my forge. All of which I will explain as I go. 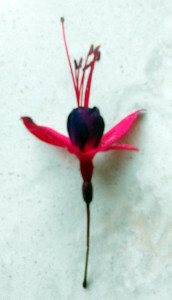 We should start with my inspiration, a fuchsia flower. 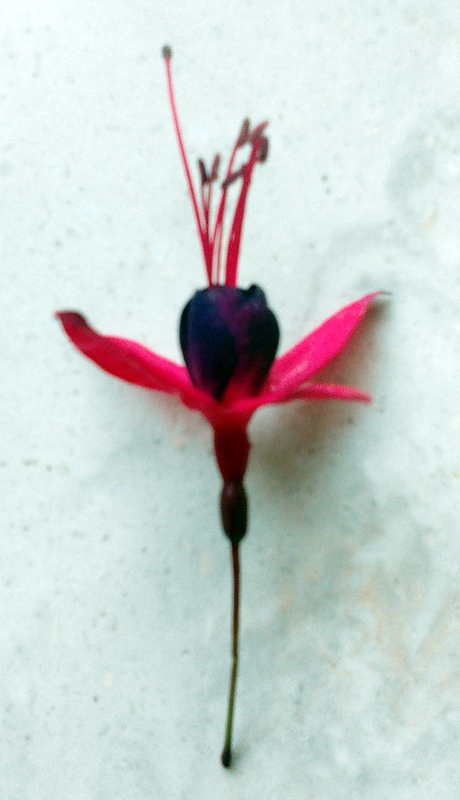 Having said that, my fuchsia is a bit of a composition, rather than a copy of a specific fuchsia type. For my wooden version I started with the main petals, made from ash. I started with a slice of ash bought at the local National Trust wood fair as I like to know that the materials I use are from a sustainable source. From this plank I cut 4 pieces, glued them together into a cross, and carved them into the shape of the 4 petals and the first part of the stem. And so this is stage 1 complete.